Check out the info and trailer for Rendel! 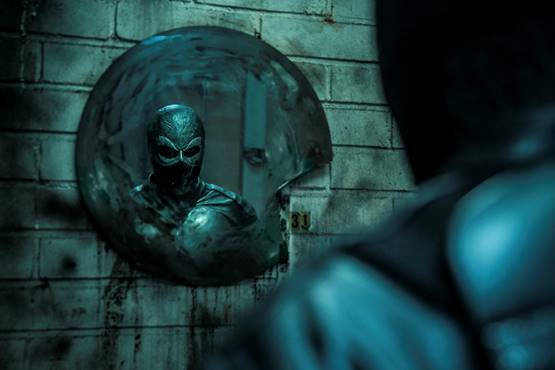 Raven Banner, the genre specialist has landed worldwide sales rights (excluding Scandinavia) to Finland's first superhero movie, RENDEL, directed by newcomer, Jesse Haaja. In the vein of ‘The Punisher’ and ‘Spawn’ RENDEL is a stylized gritty antihero story about a vigilante seeking revenge against the criminal organization known as VALA. Co-Managing Partners Michael Paszt and James Fler stated that RENDEL is a one of a kind super hero film made for fans by fans. Producer, Miika J. Norvanto added, "We’re thrilled to be continuing our relationship with Raven Banner. Their marketing strategy on our previous film, Bunny The Killer Thing was spot-on and we knew they'd be a perfect fit for Rendel". RENDEL is based on Haaja's own creation; a comic character who has already gained tens of thousands of followers and enthusiasts from all around the world. The film's first teaser has also racked up over three million views in its initial launch this spring.